Clean Life and Home: FREE Printable September 2016 Planning Page! 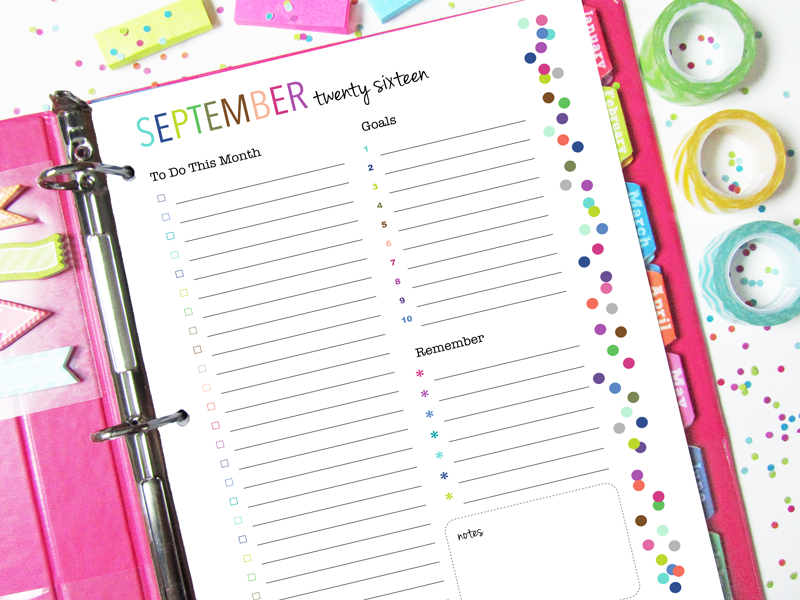 FREE Printable September 2016 Planning Page! Happy September! Fall is my favorite season and, in my opinion, the best time to get a fresh start. I know it's not technically fall yet, but it's close enough for me! 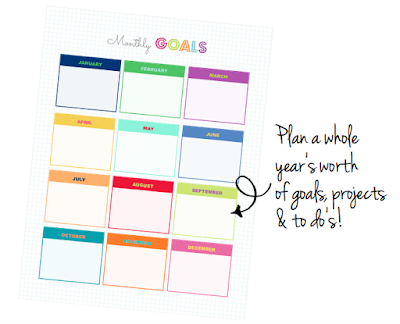 I created this planning page to jot down and organize my to do list and goals for this month. 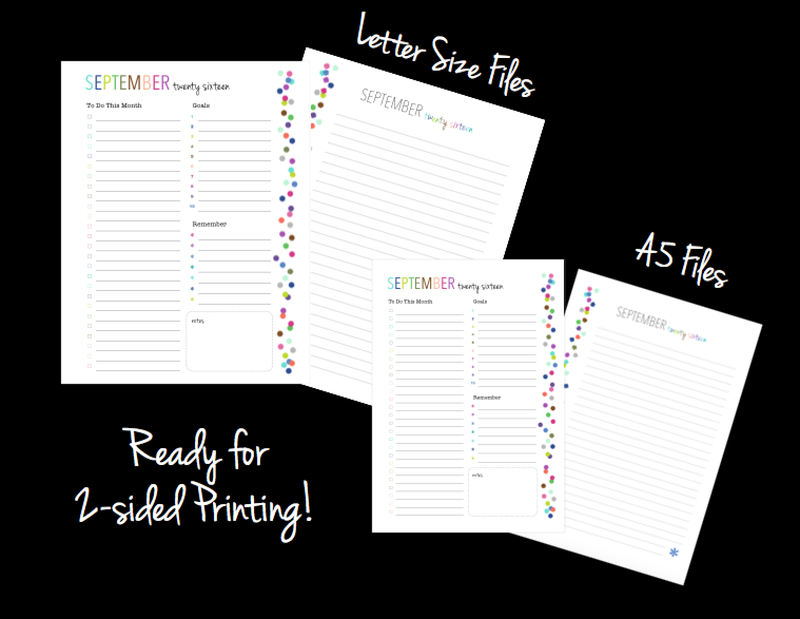 Click to download your A5 Planning Page or Letter Size Planning Page or continue reading! For this page I used the colorful Lots of Dots pattern that's new to my shop from my Printable Address Book. I'm loving this color scheme right now! I wanted something bright, but simple to help me put all my important tasks and goals for the month on one page. I also included a lined notes page to make this printable 2-sided! I have a lot planned for this month! Fall always motivates me to buckle down and get things done. I have a bunch of to do's that I'm not ready to (or can't) schedule for a specific date. That's where this page comes in handy. 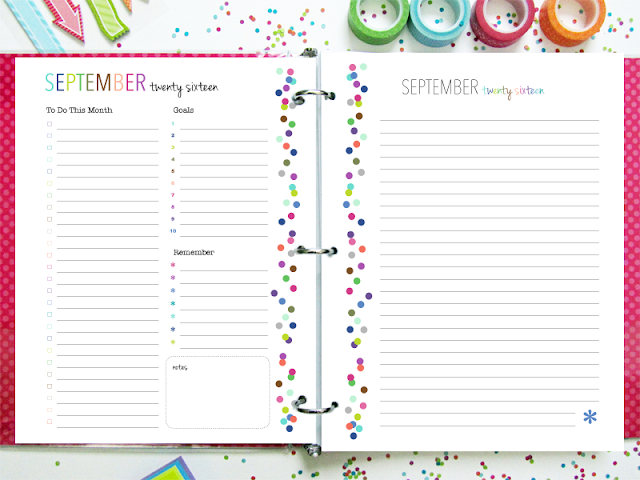 Download your free copy and get started planning your month! Check back for more freebies or visit my shop to see all of my planning printables! 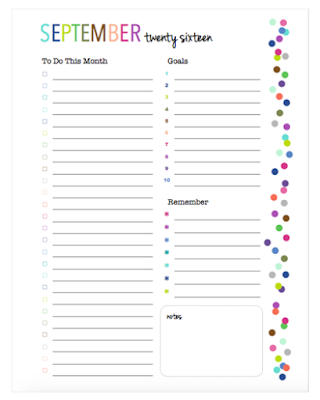 This Monthly Goals Planner Page is another great planning freebie! You can use it to plan for the whole year! I'm using mine to forward plan projects around the house. How do you plan your month? Share below!